Item # 157112 Stash Points: 4,499 (?) This is the number of points you get in The Zumiez Stash for purchasing this item. Stash points are redeemable for exclusive rewards only available to Zumiez Stash members. To redeem your points check out the rewards catalog on thestash.zumiez.com. 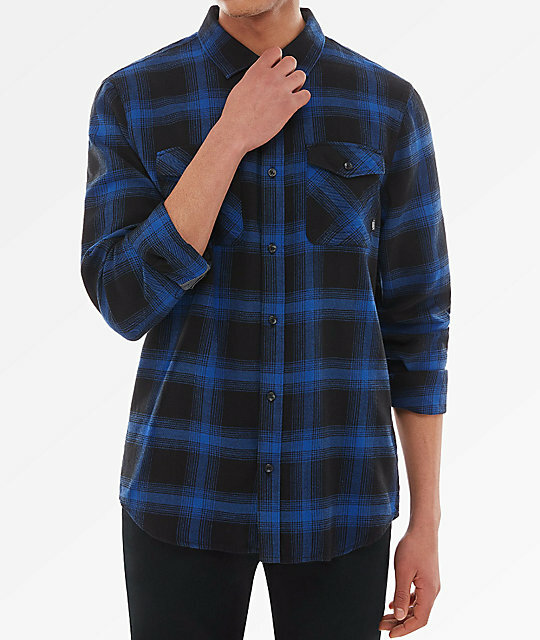 Keep warm and stylish in the Monterei III blue and black flannel shirt from Vans. 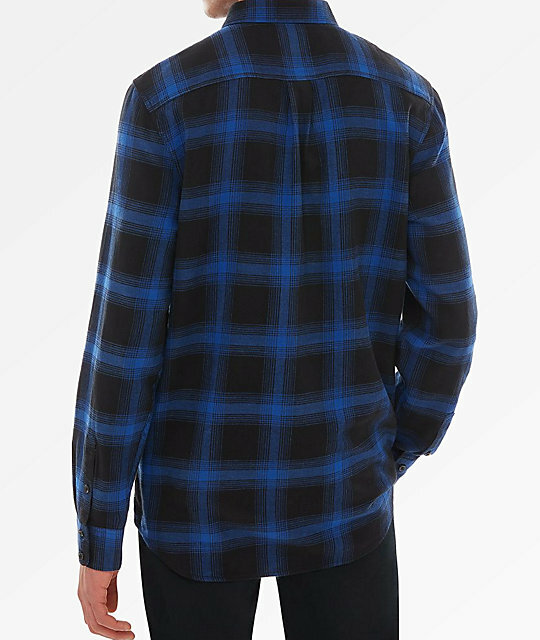 The black and blue patterned long sleeve flannel features a fold over collar , dual chest pockets, and cuff- able sleeves. A classic look you can easily dress up or down. Monterei III Blue & Black Flannel Shirt from Vans. Flannel construction with a blue and black plaid pattern throughout.